In their view, the trail of the thousands of refugees from Syria, Iraq, Afghanistan and other people groups, including Kurds and a number of Christians, across Europe is the result of a sinister plot to “conquer Europe with Islam.” They often used Bible verses and questionable hermeneutics to buttress their views. Our team, a collaboration between the Renewing Our Minds (ROM) initiative and EUS Serbia (IFES – International Fellowship of Evangelical Students Serbia), could not disagree more with the concerns of fellow believers who see the current refugee crisis as a serious threat to “European Christian culture and identity.” Our ROM Community Refugee Response, as we called the action, involved a group of followers of Jesus, mostly young leaders from Serbia, Romania, Croatia, Israel/Palestine, Bosnia-Herzegovina, Albania, the U.K., and the U.S. We embraced the challenge that if there was ever a time in Europe to demonstrate the love of Jesus toward people in distress, this is it as Europe faces its most overwhelming challenge since World War II. We wanted to make a statement of love, compassion, and empathy. The summon of Jesus was clear to us: “Whatever you did for one of the least of these brothers and sisters of mine, you did for me” (Matthew 25:40). Our hearts also resonated with the words of the Old Testament: “You shall treat the stranger who sojourns with you as the native among you, and you shall love him as yourself” (Leviticus 19:34). The current refugee trail follows Turkey, Greece, Macedonia, Serbia, Croatia, Hungary, Slovenia, Austria, and Germany. 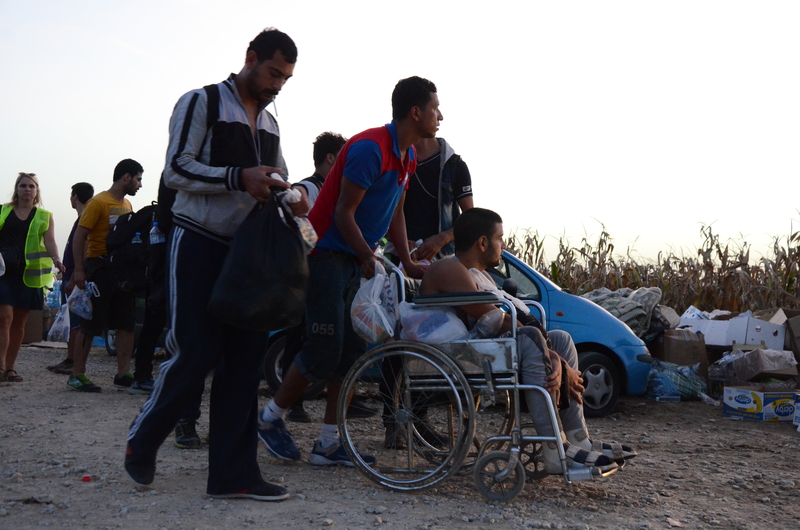 Serbia has carried a heavy load as a major thoroughfare for these refugees. Two weeks ago, Croatia joined Serbia in sharing the burden when Hungary decided to seal its border with Serbia and the refugee trail moved to Croatia. It is estimated that some 80,000 refugees have since entered Croatia. 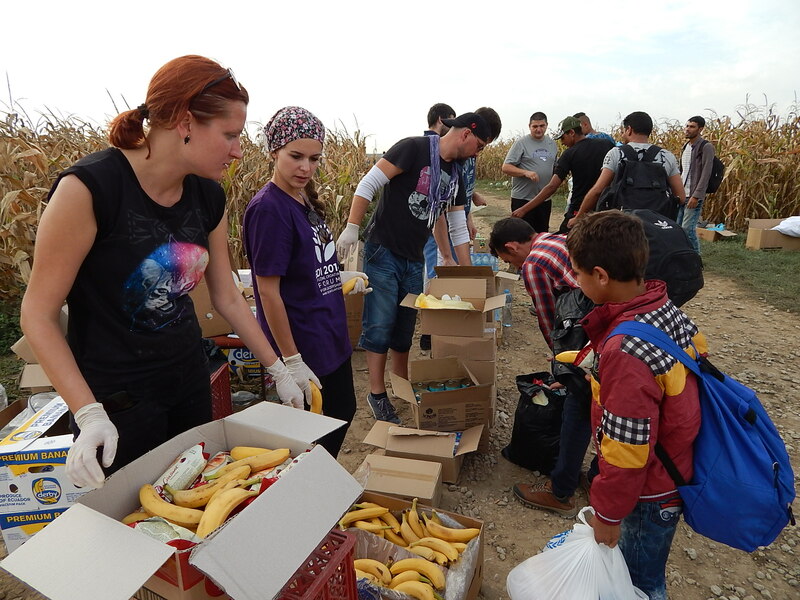 In Serbia and Croatia, the good news is that different Christian church communities and organizations, including a number of self-organized faith groups, continue to act as first responders in making the journey of the refugees more bearable. Among them are Baptists, Pentecostals, Reformed Christians, Adventists, Lutherans and various other Protestant and evangelical groups, Orthodox and Catholics, as well as Muslim communities. And some more visible faith-based humanitarian agencies are in the fields, on the roads, and in the camps assisting the refugees, including Samaritan’s Purse, World Vision, and ADRA (Adventist Development and Relief Agency). These refugees are not terrorists. They are young people, daring men and women, families with children and babies — many of whom left their countries because they did not want to be killed, raped, or kidnapped as many of their family members and friends were. Many of the refugees are well-educated people who speak English fluently, so it was not difficult for us to communicate with them. Some of them reported their experiences of walking for weeks and months since they left Syria. Their feet were hurting, and many walked with crutches or were assisted by wheelchairs. The most moving moments were the scenes of small children walking with their parents on the dusty dirt road through the cornfields leading into Croatia during the blistering heat of late summer. In two days, with our four cars, we drove nearly 100 children, mothers, and people with walking difficulties the last miles to the Croatian border, and even farther when approved by the Croatian border police. All of us on the team had frequent moments when we could not hide our tears. Through such precious moments, we offered a “little bit of Jesus” to the hungry and tired refugees on their journey to safety. With the winter months looming, the influx of refugees does not show any sign of slowing down. While many EU countries debate how many refugees (if any) they are willing to receive, Serbia and Croatia are increasingly worried that they might become a blind alley for the refugees, or the place where thousands of refugees will get stuck for a considerable time. We should pray that all European countries understand that they have a part to play in accepting the Syrian refugees. The U.S., Canada, Australia, and New Zealand should be generous too. The EU should develop a clear plan to respond to this crisis and share the burden in a balanced way. No country should act arrogantly and determine that the refugees are not their problem. These hundreds of thousands of refugees are real people, real men and women, real families with dear children — and we need to embrace them, especially if we call ourselves followers of Jesus. As for us — the ROM community and IFES (EUS) Serbia — we intend to continue assisting the refugees on their path to a safe place for them and their children. We want to be in company with Jesus as He meets them on the trail every day. This entry was posted in Faith and tagged Compassion, Croatia, Empathy, EU Refugee Crisis, Human Rights, Humanitarian Aid, Hungary, Macedonia, Refugees, Serbia, Sid, Tovarnik. Bookmark the permalink.